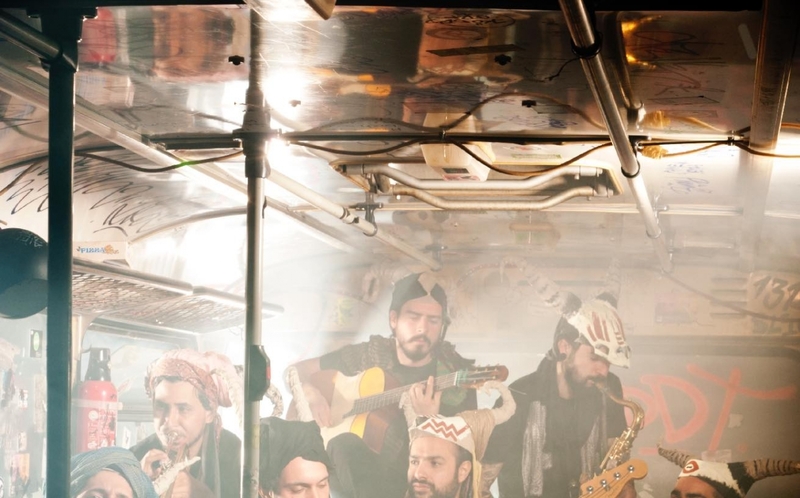 Gypsy Ska Orquesta is a street music project created in 2009 in Caracas Venezuela. In the beginning, our goal was simple: Go out and play our music in the street, sharing the musical work we were developing with strangers in a regular environment.. So, in a rushed and chaotic rhythm (as Caracas city, our city ), between the streets, jam sessions, and musical experiments, the project was taking shape, friends joined once or twice a week, and for a few hours the sidewalks of Caracas became our makeshift stage. After a couple of years playing in weddings, at small and even the biggest stages in Venezuela, we made our first European Tour in 2014 completely self-produced, and since then, we have played more than 120 concerts in 11 countries all around Europe. We’ve graced stages at Mighty Sounds Festival in the Czech Republic, Goulash Disko Festival in Croatia, This is Ska Festival and Burg Herzberg Festival in Germany, and co-worked with Balkan music collectives such as Klub Balkanska from Berlin and Warsaw Balkan Madness from Poland. In 2016 we won the band contest at the Iboga Summer Festival in Spain and started recording our first LP in Barcelona, which will be released in March 2017 when we hit the road again in Europe.